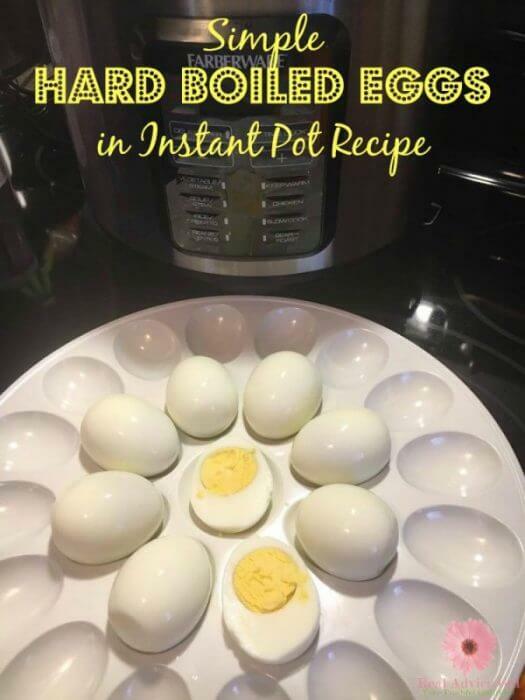 Whether you are making deviled eggs, egg salad or just like eating simple hard boiled eggs, make it easy and simple by making hard boiled eggs instant pot with this recipe. Perfect eggs every time. 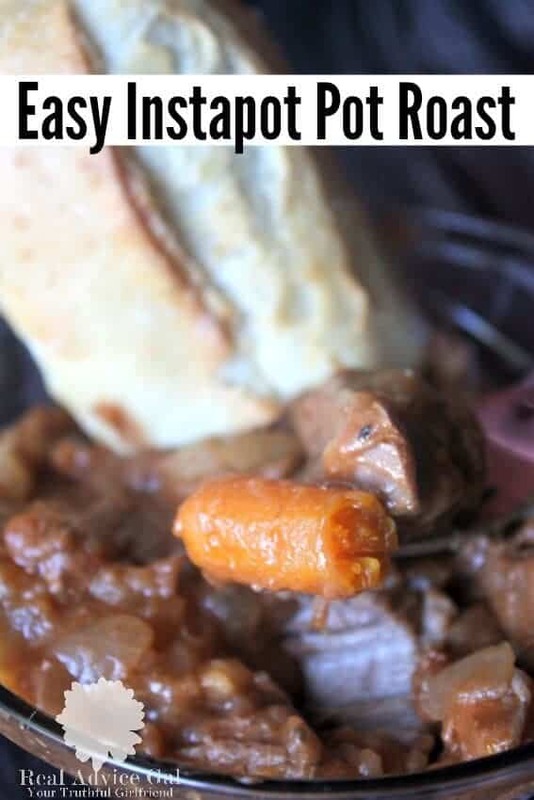 No mess or fuss or worrying about over or undercooking them ever again! Just make sure to follow all the steps because you would hate to have an egg explosion…not like that has ever happened to me. Try and error right! 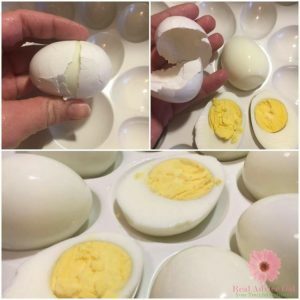 These few but simple steps will give you perfect Hard Boiled Eggs every time. 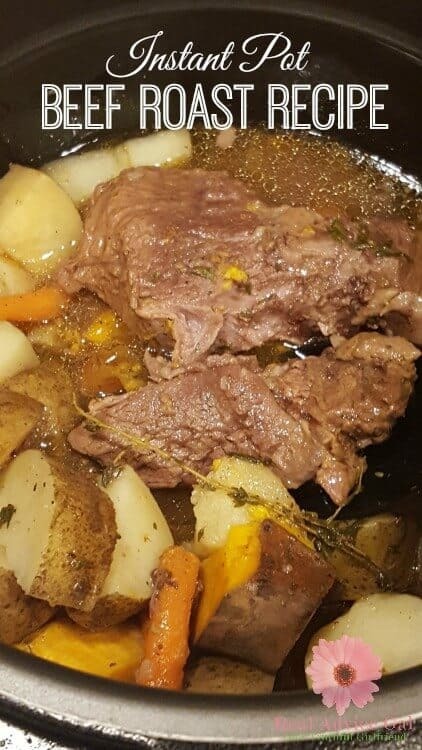 First, make sure the instapot is clean and ready to go! Grab the rack that it came with and put it in the pot. 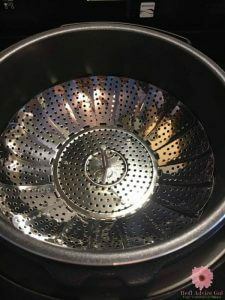 If you have one of those steel lotus, steamer baskets put that in too! It will make it easier to take out when it is done. 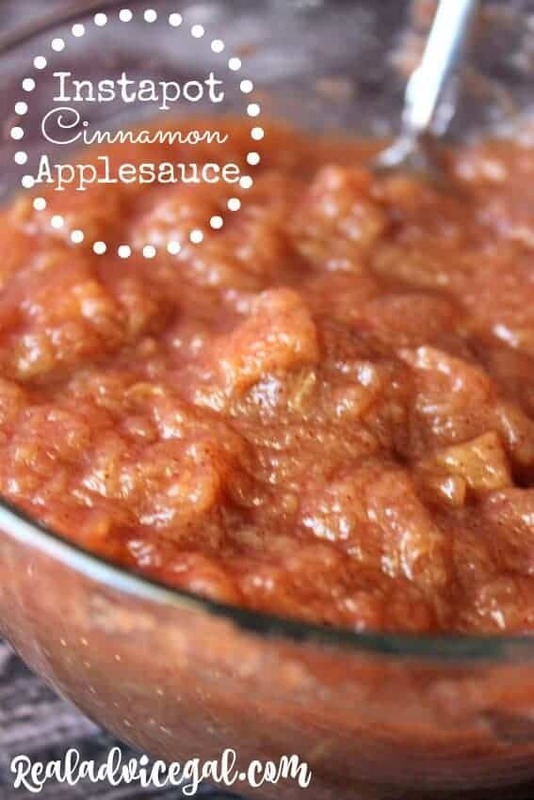 Next, add 1 cup of Cold Water! Add your eggs. Do not do more than 12 at a time! 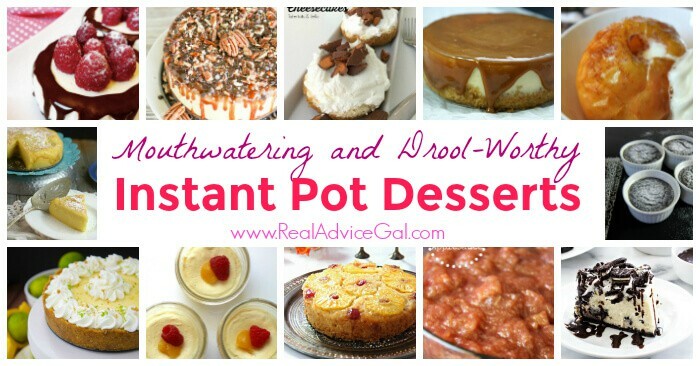 It will take about 10 minutes for the Instapot to build up the pressure then the timer will begin. 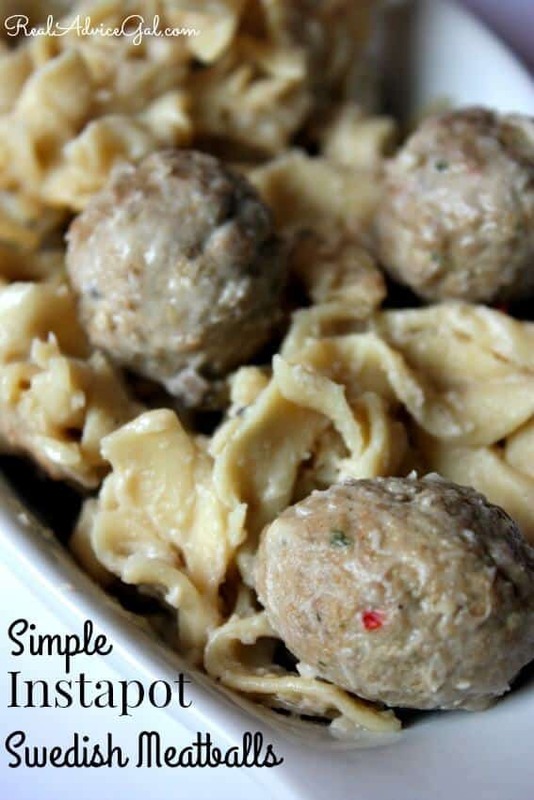 While that is going on, grab a bowl of Cold water and fill with ice cubes! Once the timer goes off, release any steam if any is left, which mine does not usually, then unlock and place eggs carefully into the ice bath immediately. This is very important! 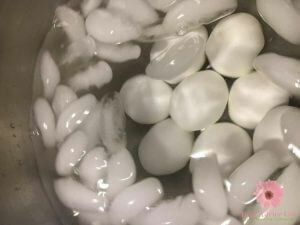 By placing the eggs into the ice bath, you stop the baking of the eggs. If you want perfectly Hard Boiled Eggs, get them in the ice bath right away. Let them sit there for about 15 minutes! After the eggs have been in the ice bath for 15 minutes, you can peel and enjoy! You can then make Deviled Eggs or whip up some yummy, Egg Salad and if you really want to try something fun try these Pickled Eggs! No matter what you do, you will have delicious Hard Boiled Eggs every time! 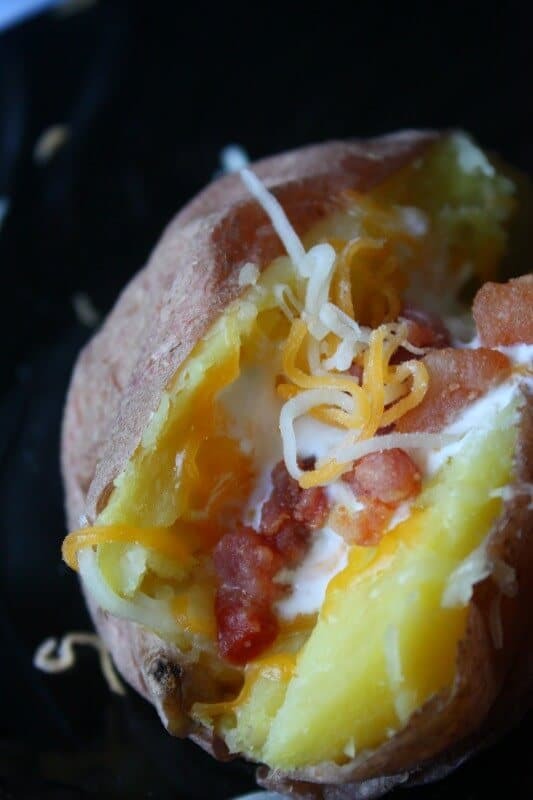 If you prefer your eggs to be Easy or Medium all you need to do is just cut the time back! 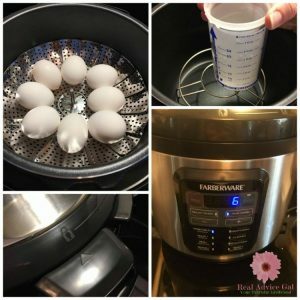 I hope you enjoy this simple and quick way to make perfectly Hard Boiled Eggs with your Instapot! Unlock the lid and carefully remove the eggs and place in ice bath Right Away! After ice bath remove and peel!